Destroy an enemy creature if you have a creature with higher power. Stone Throw is a common Strength action card. It is part of the Core Set. 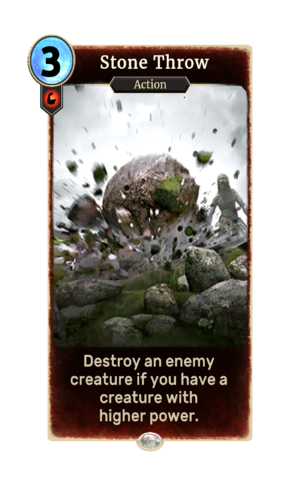 Playing this card counts towards the Stones Thrown statistic. This page was last modified on 7 October 2018, at 16:29.